Used to make a table! I worried whether it fits the inner diameter of the square pipe, but it fits well! This review is about item#75860373. The fit to the pipe was also not loose and not too loose. I just wanted to raise the height as much as 1 cm, so it was just fine. This review is about item#75860346. Since the material is plastic, I had anxiety before putting on it, but once it was assembled it was firmly fixed and worrying anxiety. It was over the full mark with the dimensions as shown. Because the long part being used for years has broken the plastic part of the legs due to aged deterioration, the screw of the adjuster stopped stopping, so I bought it for that replacement. 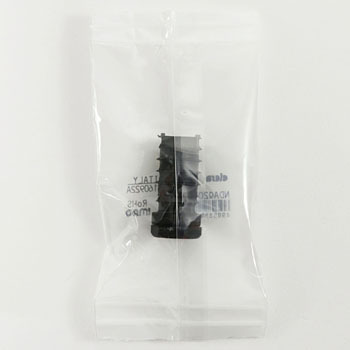 It is convenient because this item has an adjuster attached from the beginning. Just because the material of the adjuster is also a solid plastic, I think it was better if the part in contact with the floor was made of rubber. This review is about item#75860364. Just size square pipes of 25 x 25. There is an adjuster, it can correspond to floor unevenness. A commercially available cushioning material is affixed when the seat plate is a little bigger.